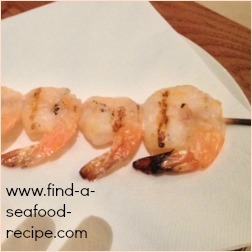 Here's a basic barbecue shrimp recipe with a list of marinades you might like to try. Shrimp on the barbecue cooks in minutes - 2 or 3 minutes at the most each side. 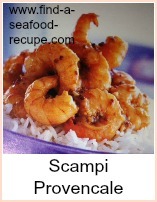 Buy large shrimp (prawns) to make threading easier. Allow one or two skewers per person - if you're doing a mixed grill, then one will be enough. Soak the wooden skewers in water for one hour prior to putting on the barbecue to prevent them burning. 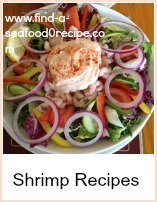 Allow four or five large raw shrimp per skewer. Prepare your chosen marinade recipe, add the shrimp, giving them a good stir round to get coated and leave them in the fridge for around one hour. Thread them onto the skewer - don't stab yourself! Cook on the hot barbecue for around 2 minutes, then turn and cook a further 2 minutes - the shrimp should be pink all the way through when they're properly cooked. You can add diced pepper to the skewers, cherry tomatoes or courgettes which will make the skewers more economical as well as giving some interesting flavor. Marinade the vegetables at the same time as the shrimp. You could add 1 t of chilli powder to either of these if you wish. 1 C plain yoghurt with 1 T tandoori paste. Shrimp is always popular at barbecues. It takes minutes to cook. 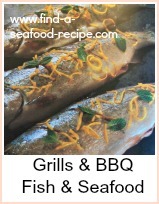 There's some great marinades for you to try out with this recipe.